Win Win (W-478) Lottery Results | 17.9.2018 | Kerala Lottery Result will be published live at 3.00 pm and the official Kerala lottery results will be announced at 4.00 , Win Win lottery results 1st Prize- Rs :65,00,000/- ,Followed by the consolation and the other prizes. kerala Lottery Results Today Will be live from 3 pm Onwards. 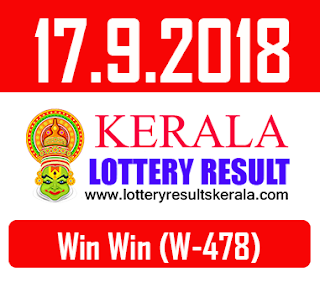 Enjoy the live lottery results,Win Win (W-478) Lottery Results | 17.9.2018 | Kerala Lottery Result. 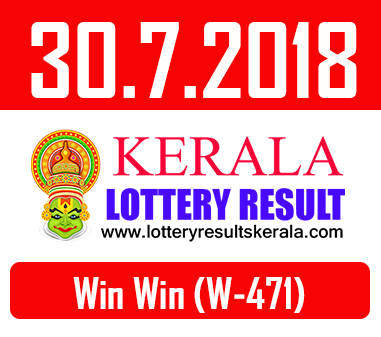 Win Win (W-478) results Will Be live At 3.00 pm at the official website,we publish the kerala lottery results through the official channel ,the government of kerala has been publishing the lottery results online. 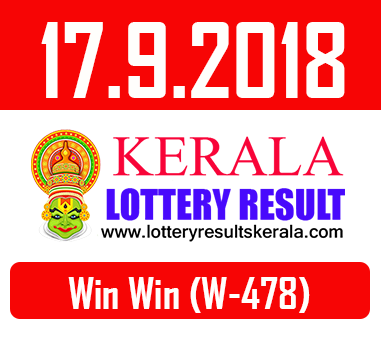 W-478 Lottery Results today will be published from thiruvantapura ,Refresh this Page to see the Win Win (W-478) Results page 17.9.2018 page to view the updated results of Win Win Lottery results.